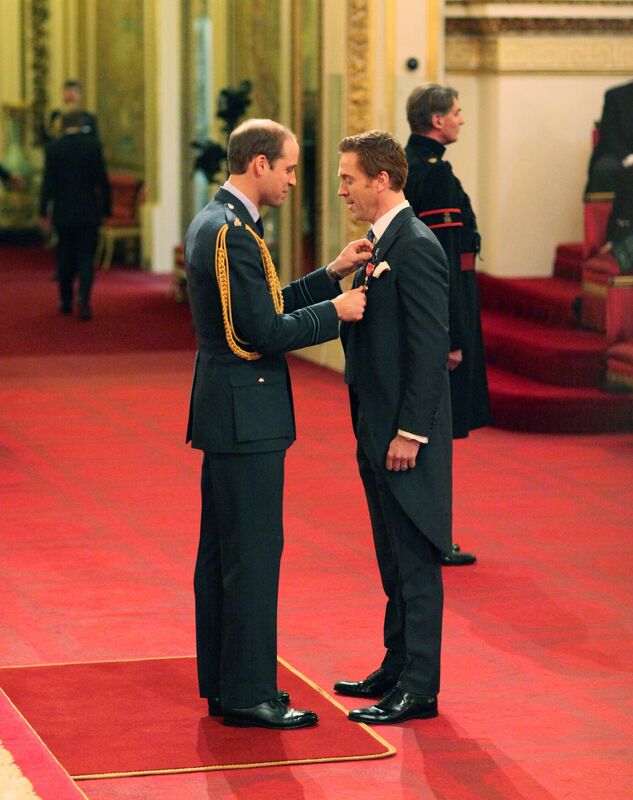 The Duke of Cambridge aka Prince William hosted the investiture ceremony at Buckingham Palace late November last year where the duo seem to have had a few minutes to chat about Homeland as well! So… The day Brody came back did not excite just us, the mortals, but also Katherine and William! 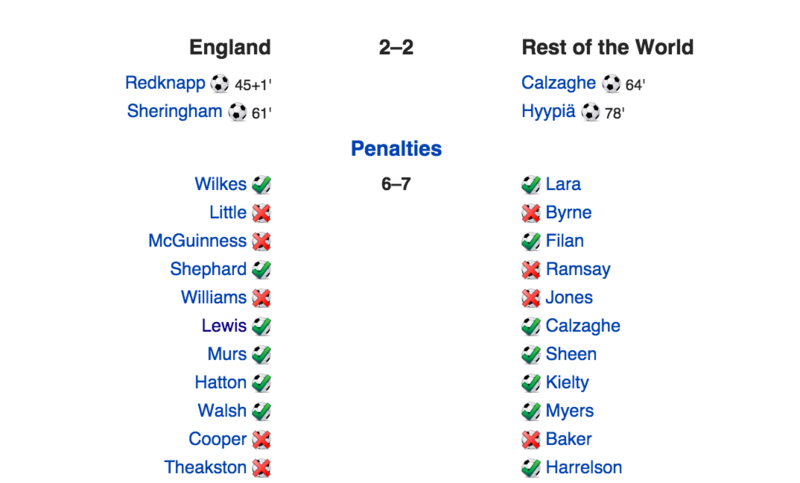 The match between England and the Rest of the World took place on June 6, 2010 at the Manchester’s legendary Old Trafford stadium. And, one of the former professionals that participated in the match was one of all-time BEST: Zinedine Zidane! 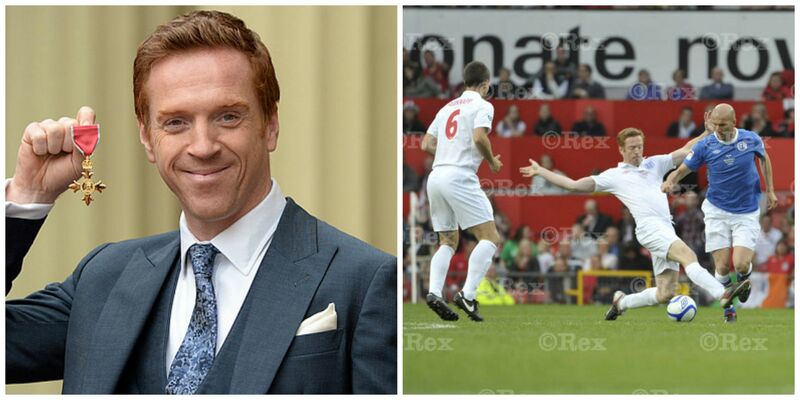 It’s just so amazing to see one of my favorite footballers and my favorite actor in the same shot playing the game they LOVE! 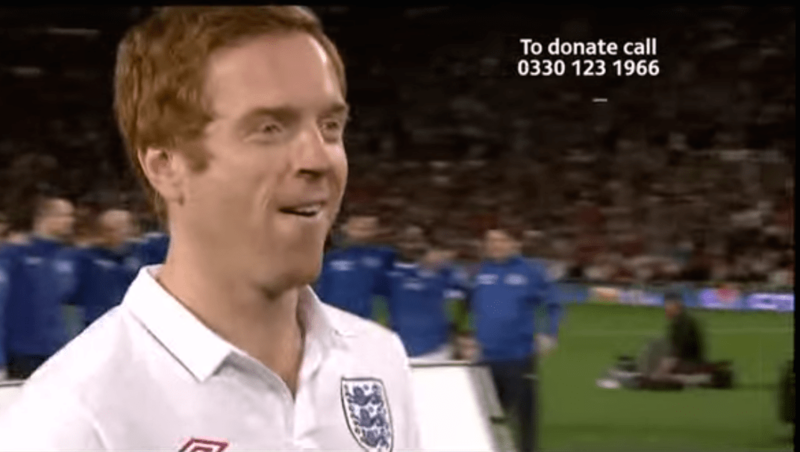 When it is Damian’s turn for the penalty shoot, both England and Rest of the World seem to have missed 3 penalties each — which means if Damian scores for England, he will take his team a step closer to winning… Haha I love it the way I dramatize a charity football match! And here comes our Number 8… and the penalty shot! Watch it here! And… the well-deserved celebration after the penalty! Love the pics! It was a jump like a meter high. 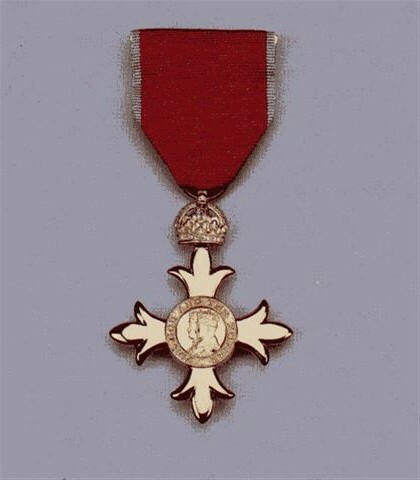 OBE should be one of the highest honors in the UK — next: Knighthood 🙂 I still think Soccer Aid penalty is a real close second depending on his facial expression and THE jump after scoring. Certainly more adrenaline with that one! 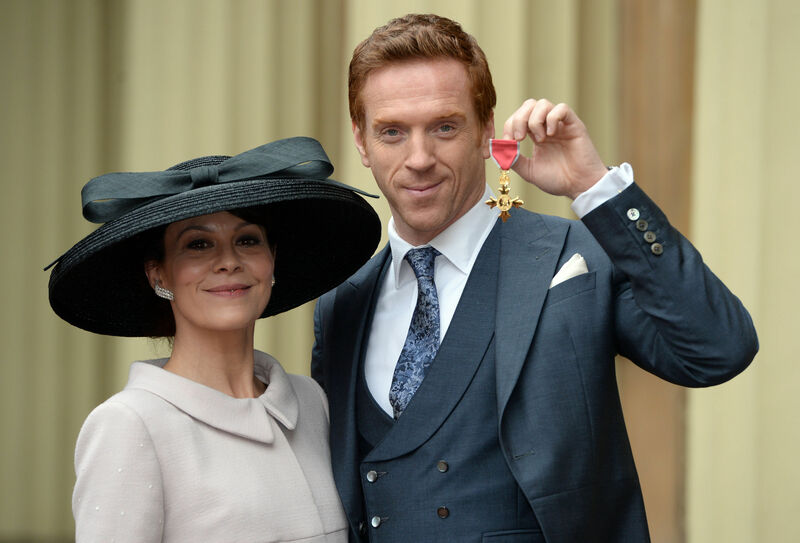 Next Next post: Happy Birthday Damian Lewis!